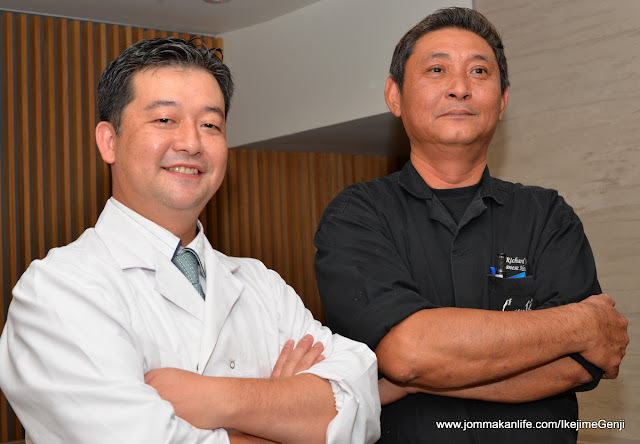 IKEJIME, a fish project initiated by experienced Japanese chef and consultant Tetsuya Yanagida, has spurred him to join forces with GST Fine Foods Sdn Bhd, for a special Seafood Showcase promo at Genji Japanese Restaurant from 22 August – 11 September 2016. 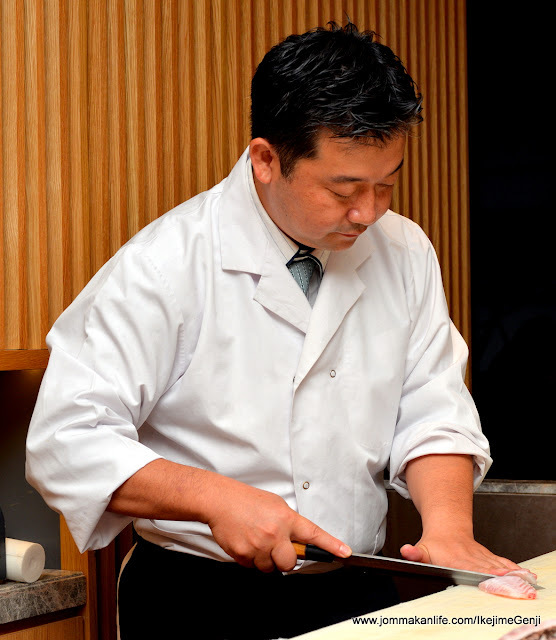 With more than 24 years experience under his belt, Chef Yanagida's culinary career spanned across Japan and Malaysia. 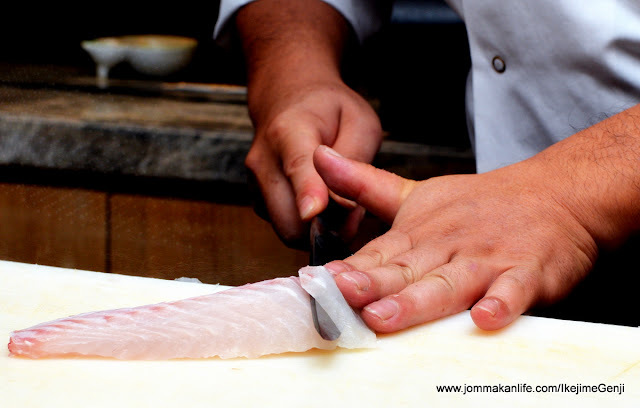 Besides the Japanese Prime Minister Award for Japanese Cuisine Chefs and Occupational Certification, the passionate Japanese cuisine advocate has the rare honour of being a licensed fugu (poisonous blowfish) handler. 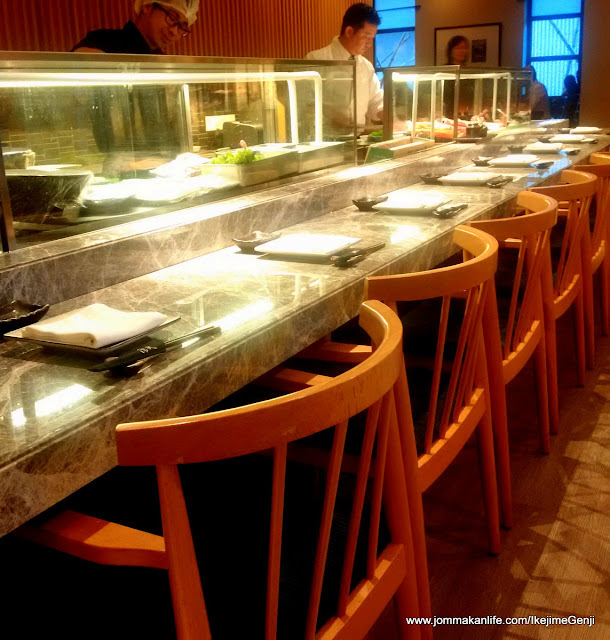 Prior to being the IKEJIME fish project consultant, Chef Yanagida was the Head Chef at some of Kuala Lumpur's finest Japanese restos. 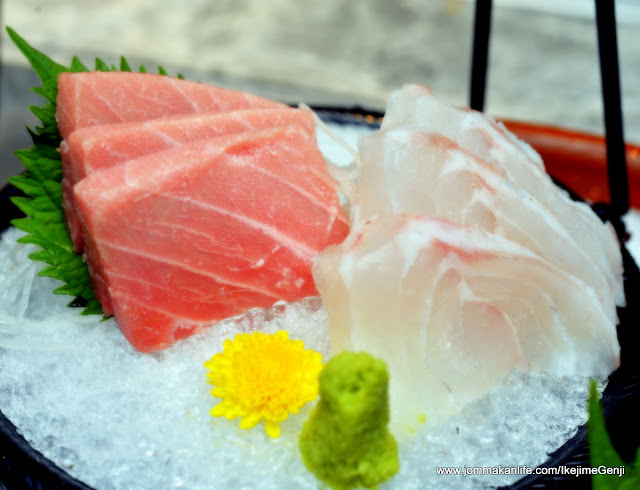 According to Chef Yanagida, IKEJIME refers to special methods of preparing and cleaning live fish to sustain and prolong the freshness. 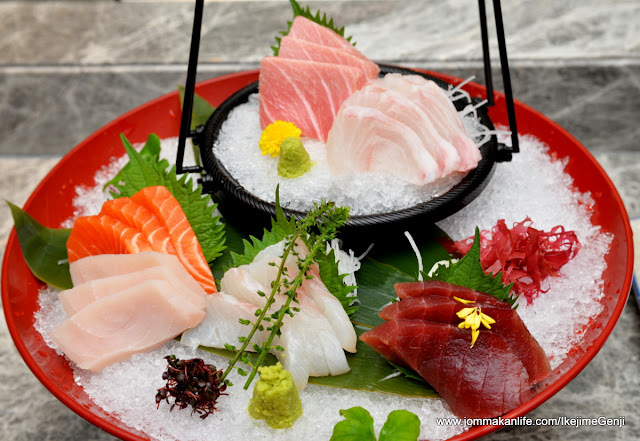 Collaborating with GST Fine Foods Sdn Bhd, the chef's IKEJIME project is a fruition of his much cherished dream of getting local suppliers to deliver sashimi-grade seafood to trade customers in Malaysia. 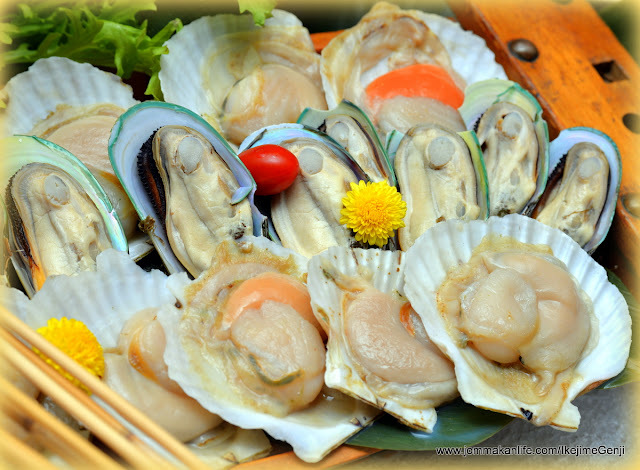 As an active promoter of sustainable seafood and certified 'friend of the sea' from Penang, GST Fine Foods Sdn Bhd is responsible for supplying quality seafood products and services to Genji and countless upmarket hotels, restaurants and the retail trade as well as as exporter to overseas markets including the US and Europe. 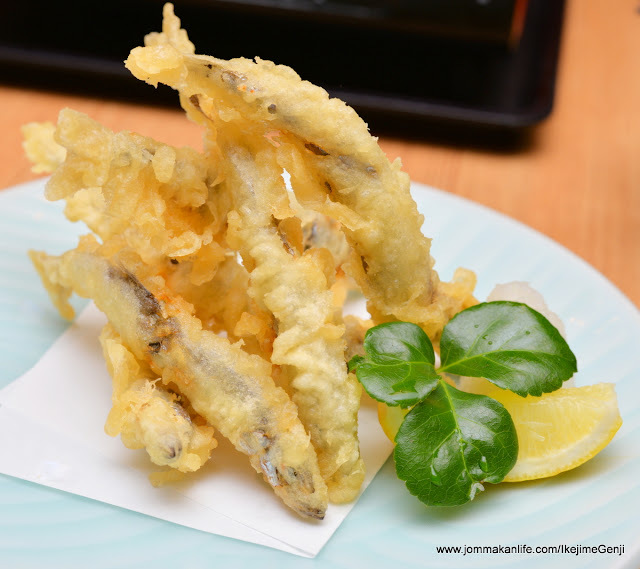 Through a carefully crafted seafood menu by Chef Yanagida, Genji patrons will have the chance to savour Japanese-style seafood dishes. Priced from RM50 nett onwards, the a la carte specialities will feature sustainable seafood supplied by GST with quality seasonal ingredients to tickle the tastebuds for lunch and dinner. 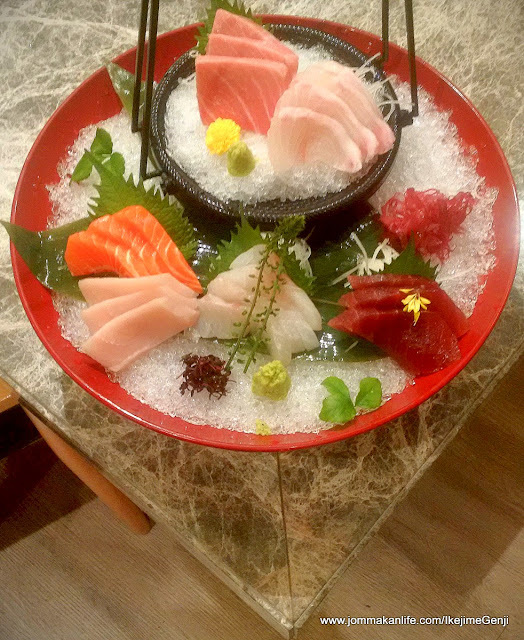 Assorted sashimi of IKEJIME grouper and red snapper made for a pleasantly fresh start during our preview. The taste quality and textural mouthfeel of both fishes were up to par and got the thumbs up from us. 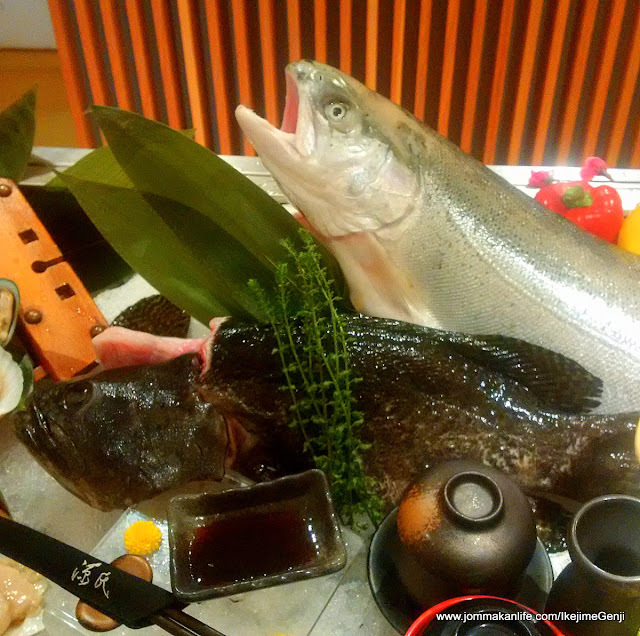 However, the top billing belonged to the seafood mushini hot pot which came in sukiyaki or yuzu variant. 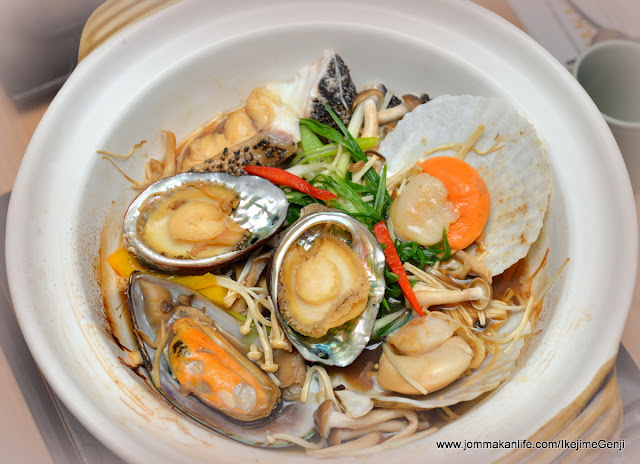 Just whiffs of the bubbling broth left us drooling, whetting our appetite for the slices of grouper, red snapper, abalone, mussels, scallops and mushrooms. A fistful of shredded leek lent a sharp oniony ‘bite’ to both flavourful broths – the sukiyaki version beguilingly rich and subtly sweet whilst the yuzu one slightly tangy to taste. Chef Yanagida prefers to let the seafood become the star of his culinary show so that diners can appreciate the full extent of their pristine attributes. Raised using marine cage farming methods, the seafood bears testament to the quality hallmarks of the GST Group which is headquartered in Penang with aquaculture farms in several islands in Malaysia. Founded in 1985 by Dato' Goh Cheng Liang, the company was after his father Goh Siong Tee (hence the acronym). Proof of the pudding or in this case, fresh seafood supply lies in its high grade quality fit enough for sashimi and sushi. 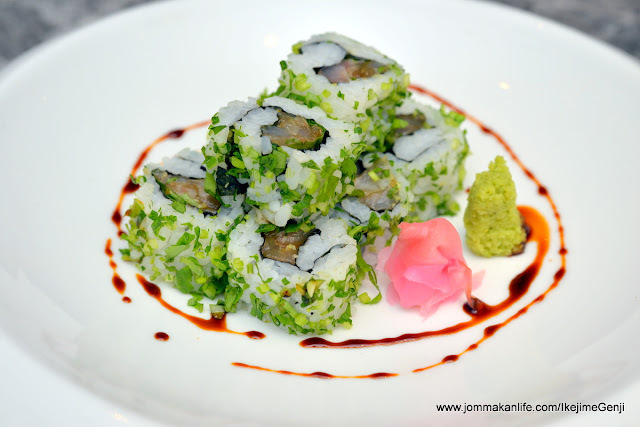 To prove his point, Chef Yanagida treated us to some Prime IKEJIME fish roll with spring onion and Chinese coriander. 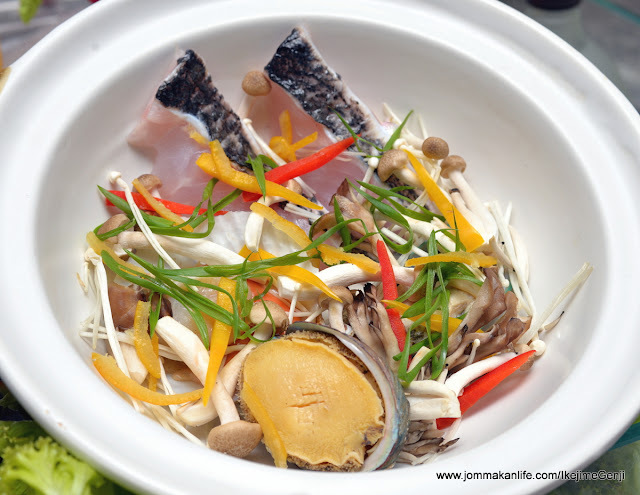 The fresh, clean nuances of the two local herbs heightened the fish naturally sweet flavour. Such freshness even came through after deep-frying as shown by the chef's deep-fried grouper with ginger-flavoured Tabasco nazu. Biting into the light crispness outside, our teeth sunk into flaky chunks of the grouper, releasing its juicy sweetness in spurts. Zingy gingery hotness amplified by creamy mayo lent the fish extra flavours. 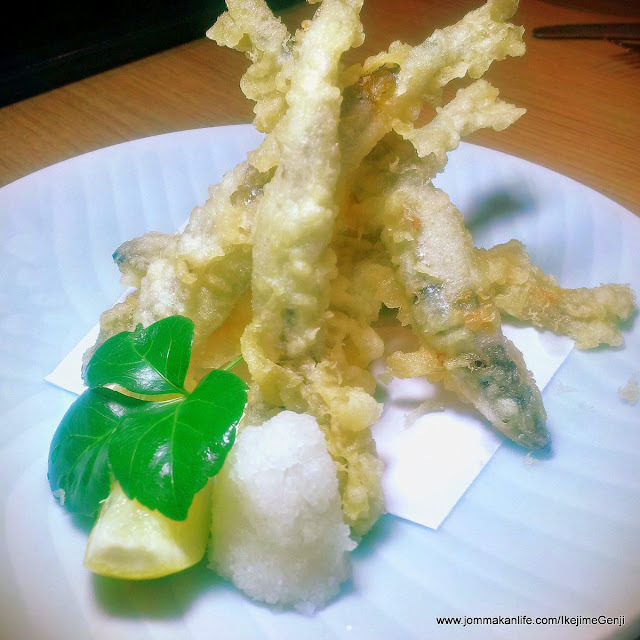 Genji Japanese chef Richard Teoh (top pix, right) also impressed us with tempura shishamo - capelin sheathed in crisp, gossamer-light batter. These diminutive fishes were instantly snapped up as the delicate roe-filled morsels were such a gastronomic treat. 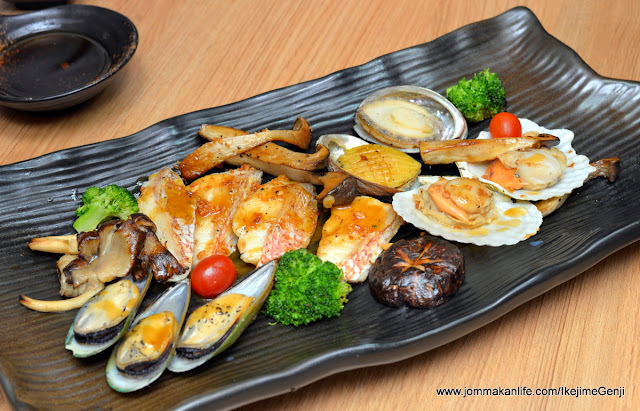 Seafood teppanyaki has always been a perennial fave with local Japanese food fans so it was hardly surprising when we made quick, short work of the IKEJIME red snapper, abalone, scallops and mussels teppanyaki served for the preview. I like the inclusion of some assorted mushrooms into the equation which added textural interest to the overall composition. Soused in a little garlicky and savoury sauce, the seafood doneness was spot on so every mouthful garnered plenty of 'oohs' and 'aahs'. For RM168 nett per person, diners can sample a premium seafood menu consisting of an appetiser, chawan mushi, seafood mushini hot pot, rice, IKEJIME fish head miso soup and dessert. 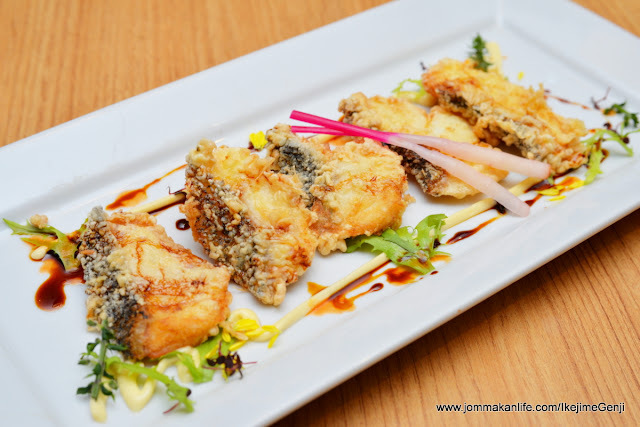 For reservations at Genji, please call 03 7955 9122 extension 4071/72 or visit www.zestpj.com.